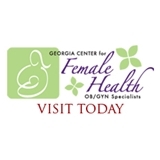 Georgia Center for Female Health (Peachtree Corners) - Book Appointment Online! She was very pleasant and the wait time was nearly non existent. She was gentle and answered any questions I had for her.